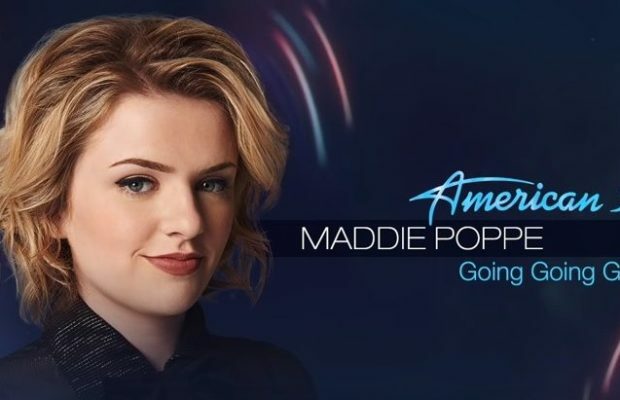 Maddie Poppe, the winner of season 16 of American Idol and now an Iowa hometown hero from Clarksville, Iowa, has touched many students all the way from her TV performances in Los Angeles back to her home state. “I heard about Maddie mostly through Facebook and Instagram. Every Iowan was sharing her videos, and when she got to around the top 20 in the competition, I started keeping up with how she was doing and fell in love with her voice,” sophomore Olivia Combs said. Before winning the whole competition, Poppe had made it all the way to top three who get to have hometown concerts sponsored by American Idol. Thousands of people flooded the streets of Clarksville on May 15 to see Poppe in person. Many Cedar Falls fans traveled the short distance of about 28 miles to Clarksville to hear her voice live. Poppe also has original songs that she has featured on the show such as “Don’t Ever Let Your Children Grow Up” and her new single “Going, Going, Gone” co-written with fellow Iowan artist Julia Michaels. “I think she is a good artist because she is unique. She doesn’t sing country, pop, indie, rock. She is her own unique artist. Maddie sings and plays whatever she loves, and I really look up to her in that way,” Combs said. There are not many celebrities from Iowa, but Poppe is one of the stars who have left the state of Iowa and represented it well. She received a $250,000, a headlining performance at the Hollywood Bowl and a recording contract with Hollywood Records from the competition. “I think an Iowan winning is so cool. You don’t get to hear about Iowans winning game shows, television shows, etc. 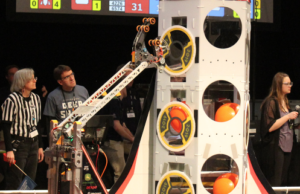 I think it is really cool for everyone in our state to see one of our own succeed so far,” Combs said. Junior Beth Culberson also attended the concert in Clarksville. “I would definitely say that she is an inspiration to many other young girls who do want to get out there into the singing career because she has mentioned how she wanted to give up at times, but she kept trying because she loves what she does,” Culberson said. The Gallagher Bluedorn Performing Arts Center at the University of Northern Iowa has invited Poppe to come perform in Cedar Falls. “We have invited her and are hoping she will come. We have had people like Emily West from America’s Got Talent, so we love artists like her to come,” Steve Carignan, Associate Dean of Arts Administration at University of Northern Iowa said. Before Poppe officially has a concert in Cedar Falls, she needs to make room in her busy schedule. “She actually has to say yes and have the time, which is hard right now because she is so busy as a hometown hero,” Carignan said. If Poppe’s schedule never opens up for Cedar Falls, she will appear at a free concert in downtown Cedar Rapids at 6:30 p.m. on Aug. 25, which had already been scheduled before she won American Idol. “It is pretty amazing to see someone grow as a singer and to win something so big like American Idol, especially if they are from the state you live in,” Culberson said.